Office space is expensive, so any way to maximise your square footage is going to be advantageous. Après Furniture’s extensive range of High Density Rolling Storage will help you get the most out of your existing office space. We are able to offer the highest quality heavy duty shelving, mobile shelving and mobile storage systems, as well as high density racks, rolling file systems and office filing cabinets with side opening tambour doors. 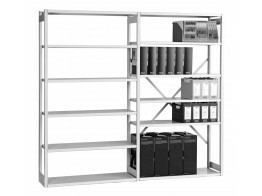 Our high density mobile storage system ranges are ideal for libraries, universities, and any business or institution requiring heavy duty shelving that is movable and provides maximum efficiency within a smaller footprint when compared to traditional static shelving. For example, the Bisley InnerSpace Mobile Shelving increases storage capacity for archiving in half the floor space. An anti-tilt mechanism between track and the mobile unit removes any need for permanent fixings either to the walls or floors. Whilst most rolling file systems are installed using permanent fixings, InnerSpace Storage can be removed and rebuilt easily, proving to be an exceptionally adaptable and movable yet heavy duty solution. With safety in mind, Eclipse High Density Rolling Storage features an in-aisle safety system which stops carriage movement instantly and automatically when a person enters a moving aisle, and also prevents movement if a person or object is detected in an open aisle. 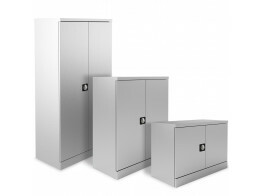 Filing cabinets with vertical or side opening tambour doors save space in the office, whilst all of our High Density Rolling Storage cabinets come with the latest in secure locking technology. A wide range of cupboard fitments such as pigeon holes and wardrobe sections are also available depending on the model you select, making Après Furniture’s handpicked selection of High Density Rolling Storage units the most versatile and robust on the market. 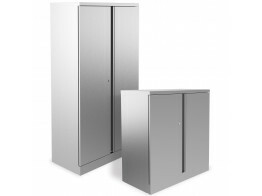 The side opening doors of these Contract Tambours maximise your internal office storage space. 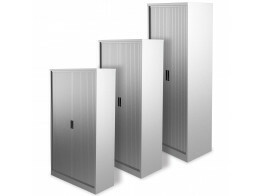 Bisley A Series Two Door Office Storage feature 2 point locking and magnetic latching. Heavy duty steel. 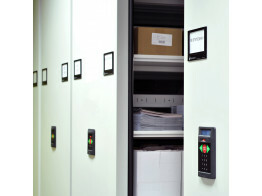 Eclipse is a high density storage solution supported by an electronic user friendly system. 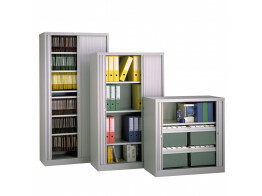 M:Line Cupboards comprise a series of versatile and neutral cabinets for filing and storage. 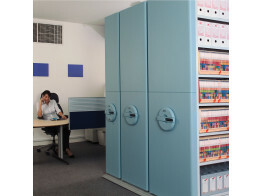 Kontrax Cupboards are the cost-effective solution for filing and office storage. 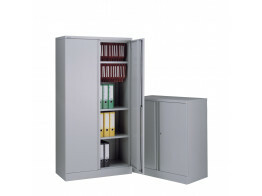 Available in a variety of colours, M:Line Side Tambour Cupboards will easily match in your office. 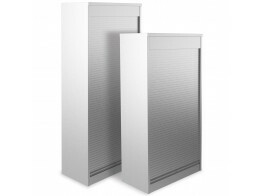 Vertical Tambour cupboard is a secure office storage solution available in two sizes. InnerSpace Storage is a high-density filing and archiving system designed for front office whilst taking up less space. Static Shelving can be customised to suit your space requirements exactly. Extendable office racking.